Debuts New Mystery Crime Series! 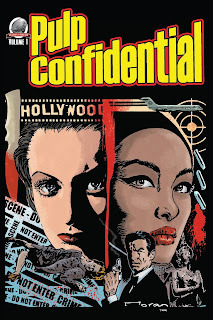 Airship 27 Productions is damn happy to announce the debut of their first ever mystery crime series, Pulp Confidential Vol. One. “This is something our fans have been clamoring for,” admits Airship 27 Productions’ Managing Editor, Ron Fortier. “Year after year, they come to our tables at pulp shows and ask if we have any mystery titles. We would point them to our best selling Sherlock Holmes – Consulting Detective books to which they would merely shrug. They made it quite clear what they wanted was old fashion mystery anthologies in the vein of the Black Mask Mystery or Clue. Although Airship 27 did release a pulp private eye series in The Ruby Files a few years ago, there was no active anthology series. 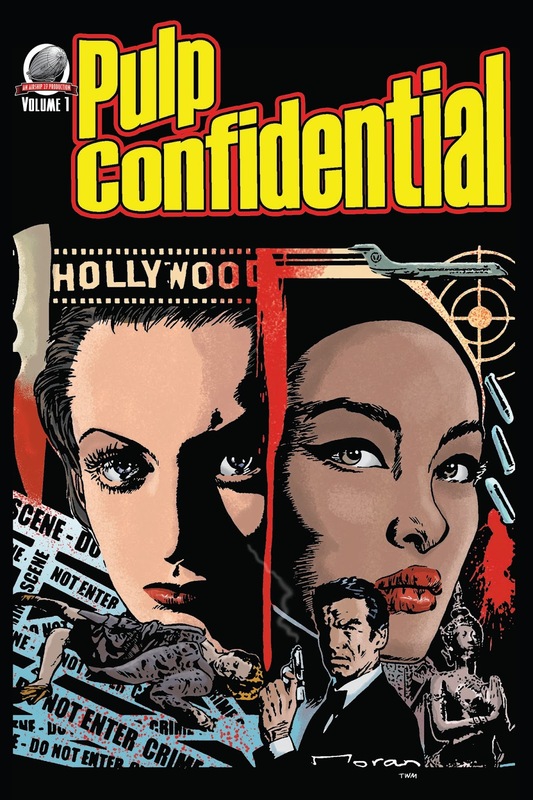 Now that missing piece in their publishing goals has been finally addressed with Pulp Confidential Vol. One. The series kicks off with two original mysteries both worlds and times apart. Tim Bruckner’s novella, Scared Pretty, opens things up with a novella set in 1930s Hollywoodland where a sadistic serial killer is on the loose. This is followed by British writer Derek Lantin’s first ever published work, The Missing Beauty. It’s a modern day thriller about a London accountant who flies to Bangkok on assignment and then finds himself caught in a kidnapping and murder. “Both of these are truly well-crafted mysteries,” Fortier continues. “That they were so different from one was fun of assembling the volume. It’s our hopes future volumes in the series will contain all kinds of crime mysteries as diverse as the genre truly is.” Pulp Confidential Vol. One. 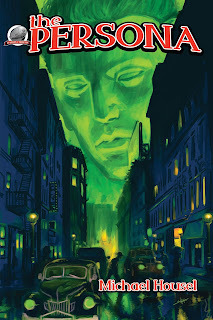 features both cover and interior illustrations by the popular Rob Moran, whose love of old American black and white crime movies is well documented in his own art books. Warren Montgomery provided colors which harkened back the drug store crime magazine racks with Art Director Rob Davis putting everything together. AIRSHIP 27 PRODUCITONS – PULP FICTION FOR A NEW GENERATION! Available from Amazon and on Kindle. A NEW PULP HERO ARISES! Airship 27 Productions is thrilled to be introducing to the world of pulp fiction a brand new mystic hero in The Persona created by writer Michael Housel. It is 1938 in Brick Town, NJ, and a mayoral campaign is underway. What the citizens are unaware of is that their little hamlet has become the target of a demonic cult known as the Ministry of Chaotic Command and they are sponsoring a candidate who is in actuality a demonic being. But before the servants of evil can unleash their horror, Brick Town’s leading businessman, Michael Mansford, is spirited away to a mystical realm that exist between life and death. There he is recruited as agent of the Light by a supernatural being calling himself Mr. Surrogate. Surrogate bestows upon Mansford a magical golden mask. Upon donning this grim false-face, Mansford is transformed into a powerful mystic who will become known as the Persona. His task, to expose Hell’s secret invasion and defeat the Demon Monster that threatens all he loves and holds dear. But can he succeed? To do so he will have to sublimate his own identity and become this new and relentless warrior; THE PERSONA. Delving into the field of Occult Mysteries, Michael Housel has produced a truly amazing debut adventure for his exciting new hero. Says Ron Fortier, Managing Editor of Airship 27 Productions, “The fun of this job is finding new, talented writers like Michael Housel and discovering their creations. The Persona is going to blaze new trails in pulp fiction, I guarantee it.” Canadian artist Art Cooper provides the interior illustrations and first time cover artist, Shannon Hall the stunning cover. All assembled by Award Winning Art Director, Rob Davis. 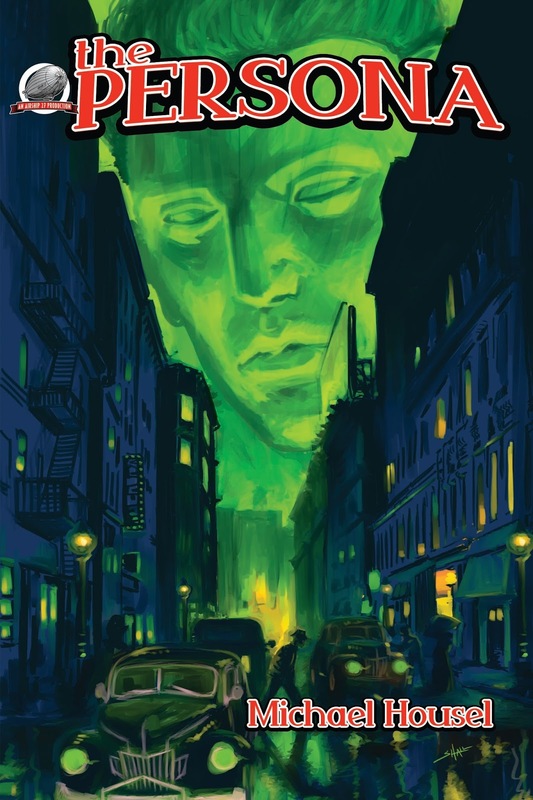 This is the first in a planned series starring this great new pulp hero, so be sure to hop on the bandwagon with this fast paced origin story.